The corporation said the move was to address an ‘under-representation of people from ethnic minority backgrounds in script editing roles’. But one unsuccessful applicant accused them of flouting their own anti-discrimination rules by not granting him an interview based on his white ethnicity. The 26-year-old, a media graduate, said: ‘It’s racial discrimination to disregard someone based on them being any race. The applicant, who chose to remain anonymous, added: ‘Opportunities like this hardly ever come up. ‘Of course there was no guarantee I would have got the job, but to be told I wasn’t even allowed to apply because of the colour of my skin was appalling. I thought that became illegal years ago. ‘Diversity is incredibly important and I am wholly against any form of discrimination – which is why I don’t understand why the BBC think they can get away with this. The advert was for two full-time drama assistant script editors for the trainee scheme, with an annual ‘allowance’ of up to £25,205. One role was based in London, working six months on Holby City, and six months in a development position. The other was based in Cardiff or Glasgow, and the candidate would split their time between development and production. It was listed on the BBC website’s job section and said BBC Drama believed ‘content should accurately reflect and be enjoyed by as many people as possible’. The job description added that the two posts were ‘exciting training and development opportunities for those from black, Asian and other ethnic minorities’. But it didn’t explicitly ban other people applying and added recruiters were looking for candidates ‘passionate about getting into Drama script writing’. When applicants applied for the role they received a generic email from an internal BBC recruiter explaining the ban on white candidates. 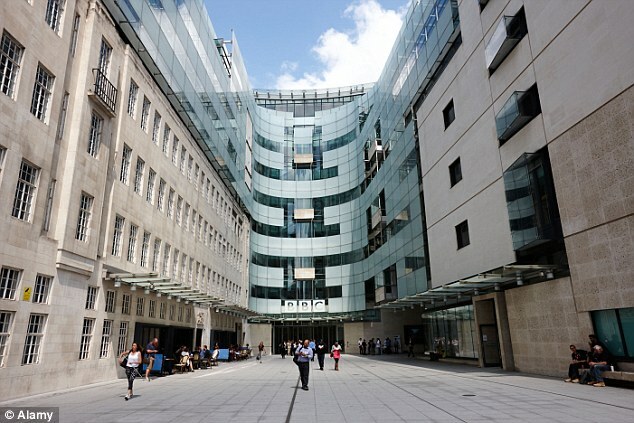 Figures reported this year show that 13.4 per cent of the BBC’s workforce are from Black, Asian and other ethnic minorities. That is more than the 13.1 per cent figure nationally from the 2011 Census which showed the proportion of the UK population from Black, Asian and other ethnic minorities. The BBC said the scheme was a training opportunity, and allowed under the Equality Act, and claimed the advert made it clear it was for BAME candidates.